Sonata presents the "Easter Buffet" that will definitely create an opportunity for your family and friends to get together for a delicious meal throughout the Easter holiday! Children can even join our 'DIY Bunny' Workshop for free during lunch buffet to make this Easter more memorable! 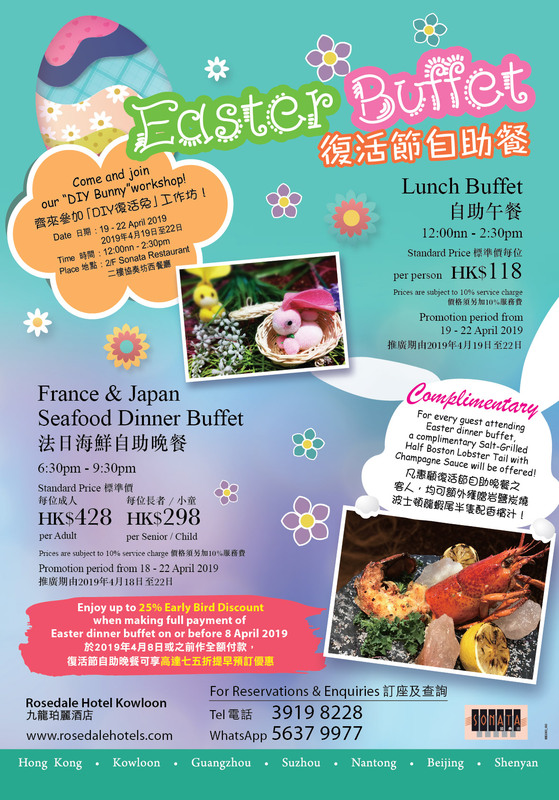 Enjoy up to 25% Early Bird Discount when making full payment of Easter dinner buffet on or before 8 April 2019!